This winter has brought our Urban Design Solar customers plenty of rain and snow, but you can still be confident in the performance of your solar panels. 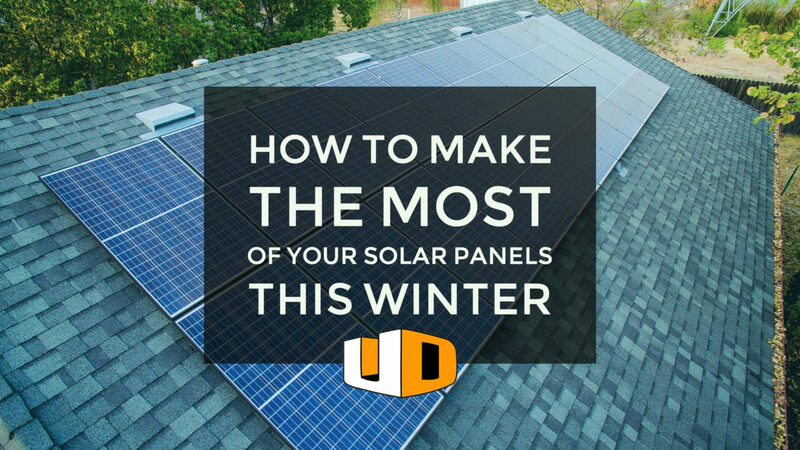 Here are the top five things to know to ensure you’re getting the best performance from your solar panels this winter. 1. Summer savings compensate for short winter days. It’s true that winter means shorter days and fewer hours of sunlight on your roof. But that’s no problem with a solar panel system from Urban Design Solar. Your solar panel system stores enough energy during the highly-productive summer months to make up for the lack of sunlight in winter. You’ll have plenty of backup energy waiting to be used. 2. Snow won’t have a negative effect on your solar panels. When it comes to the snow falling on your roof or solar panels, there’s no need to worry — believe it or not, your solar panels can absorb heat even from the chilly winter sunlight, which causes the snow to slide right off! We advise that you take care when parking your car or when walking, as the snow may slide down unexpectedly. We also ask that you don’t attempt to remove the snow yourself, since your roof may be icy. If you’re concerned about snow on your solar panels, you can always give Urban Design Solar a call — we’re here to help! 3. After the snow clears from your panels, you may notice an increase in energy production. Your solar panels are so sensitive to light. They’re more efficient on cold, sunny days rather than hot ones. This means that in the cold weather, your panels will make the most of any available sunlight. What’s more, if you find yourself in a snowy climate this season, the sun can reflect off the snow on the ground to help power your solar panels. If you’re thinking about going solar, the winter weather can seem intimidating, but Urban Design Solar will make sure you’re set up with a system that is strong enough to withstand the elements and maintain optimum efficiency. Contact us today for a free quote!